In this issue: a mission to the East, a looming threat, talking animals, and stories from a master. All that plus a new nonfiction essay from Dr. Travis S. Taylor. The United States of Europe is beset by enemies on all sides. The USE needs a reliable source of opiates for those wounded in action, as well as other goods not available in Europe. The prime minister of the USE, Mike Stearns, sends a mission to the Mughal Empire of India with the aim of securing a trade deal with the Mughal emperor. What they find is an empire embroiled in fractious politicking and teetering on the brink of war. But in the midst of these intrigues, the USE mission finds an ally: the brilliant and beautiful Jahanara Begum, the eldest daughter of the emperor. 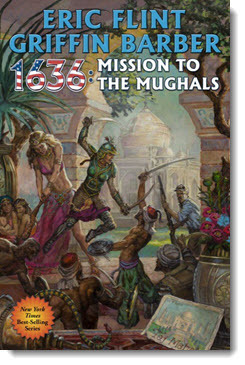 Get 1636: Mission to the Mughals eARC here. Andrej Koscuisko is a former Fleet Medical Officer for the enormous totalitarian star empire, the Jurisdiction. But when he served in the Fleet, Andrej’s real job was not medicine, but to act as a torturer. Years ago, he left that life behind. But now The Angel of Death, a savage terrorist organization, means to capture the system he calls home. The only way to bring down an organization that has slain whole systems of men, women, and children is for Andrej to embrace the savagery in his own heart and once again take on the role of Judicial torturer. 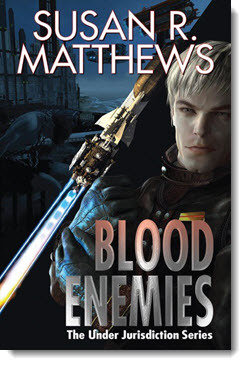 Get Blood Enemies eARC here. All his life Dugan has seen things that weren’t there. Things like a monster that chased him through a moonlit cornfield and left claw marks on his arm. Things like wolves wandering around the campus of the University of Virginia. Things like a talking Kodiak bear in the woods of West Virginia, a bear who has an appetite for home baked sweets and an eye for photography. But Dugan’s not crazy, despite what everyone thinks—including himself—and that bear he ran into in the woods might be the friend in his corner he’s always needed. 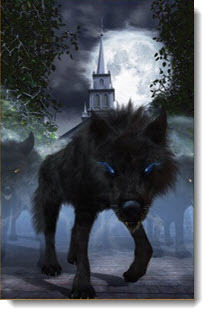 New short fiction set in the world of The Black Wolves of Boston. Read “Does a Bear Shoot in the Woods” by Wen Spencer here. Dr. Travis S. Taylor’s Tau Ceti Agenda series features larger-than-life characters, intricate plotting—and some of the best military action sequences in science fiction. But Taylor isn’t just a top-notch writer of SF, he’s also a scientist with some serious credentials. 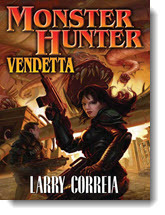 He’s used that expertise to craft one of the hardest of hard SF worlds in which to set his tales of epic space opera. In this month’s free nonfiction essay, Taylor discusses the scientific principles behind the Tau Ceti Agenda series. 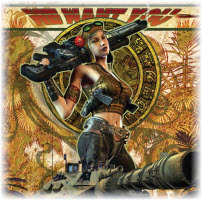 Read “The Truly HARD Science in Kill Before Dying—and the Rest of the Tau Ceti Universe” here. And check out the latest installment in the series, Kill Before Dying here. 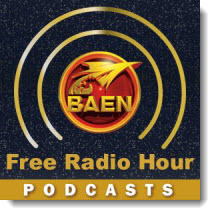 Coming soon to the Baen Free Radio Hour: Robert Buettner discusses his near future thriller The Golden Gate, a novel set in San Francisco that deals with murder and mayhem surrounding a possible cure for aging. And Dr. Robert Hampson talks about the next step in human evolution, or perhaps the next cultural leap, Homo stellaris. Missed past episodes? No problem. We’ve got every episode archived for your listening pleasure. Dispatched to the Mughal Empire of India, a group of up-timers and down-timers from the United States of Europe encounters more than bargained for—and gains an unlikely ally in the person of the Emperor’s eldest daughter. Fourteen stories from SF/F master Dickson, running the gamut from exciting adventure to stark tragedy to hysterical comedy. Plus the never before published “Love Story,” written for Harlan Ellison’s legendary, but never published anthology, The Last Dangerous Visions. Owen Zastava Pitt managed to stop the nefarious Old One’s invasion plans last year, but as a result made an enemy out of one of the most powerful beings in the universe. Now, Owen and the staff of Monster Hunter International don’t need to go hunting, because this time the monsters are hunting them. Fortunately, this bait is armed and very dangerous. Simon Forrester must make a new life for himself on the merchant vessel Stacked Deck. But there are those on board plotting interstellar war, and Simon must choose sides, for the fate of an empire hangs in the balance. A desperate attack on the Kilrathi homeworld had succeeded in destroying the entire planet. The catlike warrior race was no longer a threat to Earth and its colonies. Thirty-five years of war had finally come to an end, bringing peace in our time. They thought . . . The finale of bestseller Nye’s Taylor’s Ark trilogy about a roving space veterinarian with patients of all species. Dr. Shona Taylor takes her menagerie to a lush, wealthy planet only to find that the inhabitants are keeping their own menagerie, and when Shona stumbles on their secret, she puts all their lives in danger. New collection of eleven innovative tales by an author hailed by Harlan Ellison, Brian Aldiss, William Gibson, Michael Bishop, and Samuel R. Delaney as one of the best short story writers in the genre. Introduction by Robert Silverberg. Newly promoted to detective, Samantha Kane finds her life turned upside down when a crazy man shows up out of nowhere and tells her she was never meant to be a cop. She’s supposed to be a Wizard . . . which will come in handy, since a bunch of ghosts, vampires, and werewolves want her dead. When a Mars probe unexpectedly discovers a graveyard complete with crosses on the red planet, a secret government agency unravels the mystery of an alternate timeline where the Cold War took a very different turn—largely influenced by Admiral Robert Heinlein, who helped develop a joint U.S.-Soviet Mars colony utilizing the most innovative robot technology.